for TU-210ZX and TU-1000 back to market in Million Maestro. 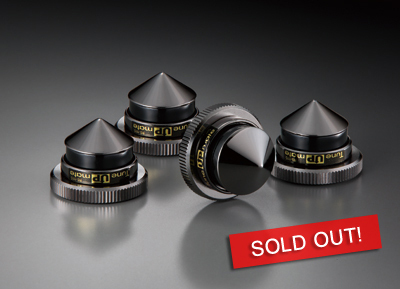 Here they are now with mind-blowing effect and perfect performance! Million is Harmonix symbolic mark for the products meet the highest quality standard that explore inspires and assets of tuning Maestro. Million is designed with his hope to share them with audio connoisseur around the globe. Harmonix heritage TU-1000 and TU-210ZX Million Maestro is truly the Art of tuning devices and posting a true music platform. you can most appreciate the true music reproduction becomes unthinkably involving. The first step in uncovering sound you didn't even know was there! Harmonix tuning feet are the first step towards perfect sound. 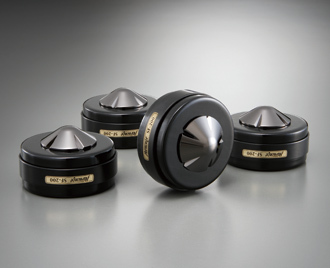 Placed under CD players, turntables, preamps, power amps, speakers, and other equipment, these remarkable devices eliminate electronic and mechanical distortion to bring out a depth of sound you didn't even know was there. After positioning the tuning feet, turn up the volume and hear the difference: clearly defined instruments emerge with much cleaner edges; the sound range becomes more balanced, with richness and sensitivity in the mid range. Vocals snap with more accuracy and immediacy. There is a much quicker response, less decay, and no distortion. Harmonix tuning feet also reduce noise, jitter and rippling in video equipment, resulting not just in better sound, but also in better color contrast and vividness of image. 1) Weaker sounds that went unnoticed before stand out. 2) The width of sound range delivered increases, for more volume and articulation. 3) Dynamic range and sound resolution increase, with no distortion at high volume. 4) Sonic uplift becomes crisper, and each sound more delineated. 5) Response becomes faster, with a quicker snap. 6) Heavy bass sound range expands for more presence. •Preamps, power amps, pre-main amps, tube amps, solid state amps etc. •Laser disc players, TV, projectors, DVD players etc. 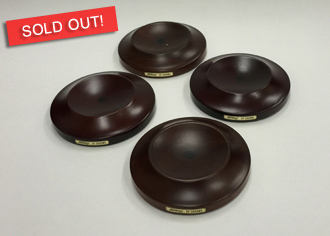 “TuneUPmate”RS-1115 is another success Resonance control tuning device we created. 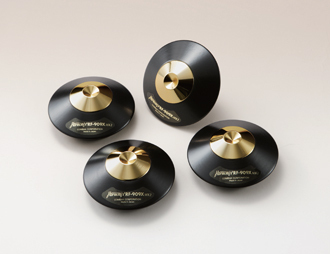 A unique and versatile Tuning spike “TuneUPmate” is small in size but very effective tuning device designed for discerning music lovers, and is specifically designed to tune effect and performance of such spike bases as RF-999M, RF-999MTmk2, RF-909X, RF-909Xmk2 and RF-900 synergetically up if is used in couple. Furthermore, “TuneUPmate” is capable to get Hyotan RFS-65m Million together and create a new form of tuning device as well. “TuneUPmate” RS-1115 can also be used itself alone with vary kind of electronics, IT music entertaining equipments and small sized speakers where space is limited. Harmonix is unique and only professional resonance control device that bring you up the higher level of listening enjoyment you are going to be completely involved. Advice :” TuneUPmate” requires break-in time. More time, better sound. 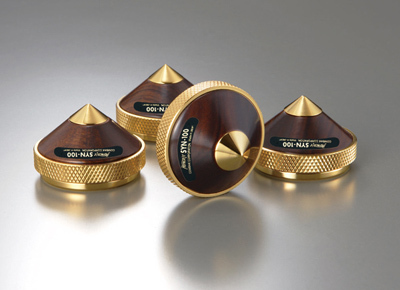 SYN-100, tuning spike, is designed for the use mostly with loudspeakers, however, it can be used with any HiFi audio systems that the systems need to generate more clean and pure notes including the subtle timing improvement through the tuning effects. SYN-100’s distortion-free sound reproduction makes listeners much more exciting and relaxing. SYN-100 acquires better articulation with remove noises from the entire frequency band hence music became more centered and accurate. For spike-equipped speaker systems or electronics. 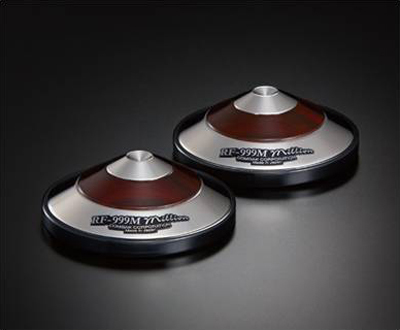 RF-707Z is a new and stunning tuning spike base designed for purpose to utmost performance of speakers, electronics and other electronic devices to include computer interface those of which are spike-equipped. For those of speaker and electronics that does not have spikes, RF-707Z is suggested to use in couple with Harmonix RS-1115 spikes for remarkable sound improvement. RF-707Z is also capable to use itself the same way as other Harmonix tuning feet such as those of TU-600 series. RF-707Z offer versatile applications, and it is designed adjustable for high to contact and balancing perfectly between RF-707Z and given electronic components and speakers. The tuning effect of RF-707Z is phenomenal and bring out the potential of given speakers and electronics maximum so as designer is intended. Improved reproduction sound of music will touch your soul and involved. Place, as shown for some of examples, under speaker systems or electronics, RF-707Z will immediate tune them and remove unwanted distortion, and will improve entire frequency spectrum that come so close to sound of original music source. The Improvement is so obvious and immense with quicker response, extend and deeper base, rich and subtle mid-range. You are going to amaze sound becomes so exquisite. It’s no doubt that you will be satisfied with the sound of music and performance of RF-707Z gives you what you have missed. Finish :Hybrid layer of special selected wood & metal. Weight limit :Several hundreds kilograms. 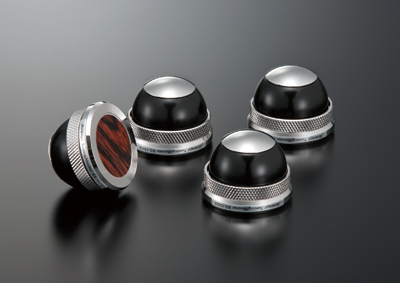 Color :Black color metal base and top and black color wood base. Note: Harmonix Ultimate Tuning spike bases requires enough break in time. More time for breaking in, the better result you can get. 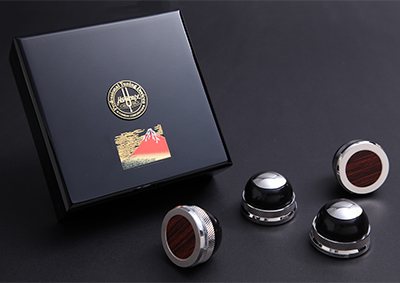 Hyotan is another new and proud Harmonix creation that complements the “Million” Maestro series of audiophile products. 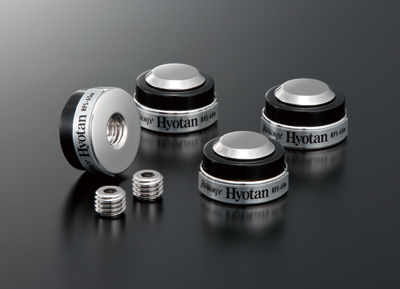 Our smallest-dimensioned set of tuning feet, Hyotan is designed for various electronics and loudspeaker applications where space is limited. 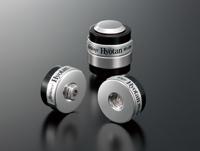 Hyotan tuning feet not only transform and balance resonance, they also eliminate harmful distortion caused by resonance from such electronics as amplifiers, digital processors, CD transports, and loudspeakers. Treat your system with Hyotans and fully savor and appreciate a degree of ambient information retrieval that is nothing less than breathtaking. 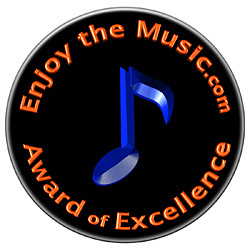 Experience the kind of magnificent music reproduction that will engage and impassion any music lover. Instruments enjoy better separation and delineation, the vocal reproduction is much more lifelike, the dynamics have a more natural character and impact, while the noise floor is significantly lowered. Transients acquire a crispness reminiscent of a live musical performance. Harmonix are the only professional tuning devices that maximize the potential of electronic equipment and loudspeakers to achieve the original goals their designers set for superb quality and faithful audio reproduction. You’ll wonder how you ever did without them. Assembly and applications: See back. Note: Hyotans require a break-in period – the more time, the better the tuning. 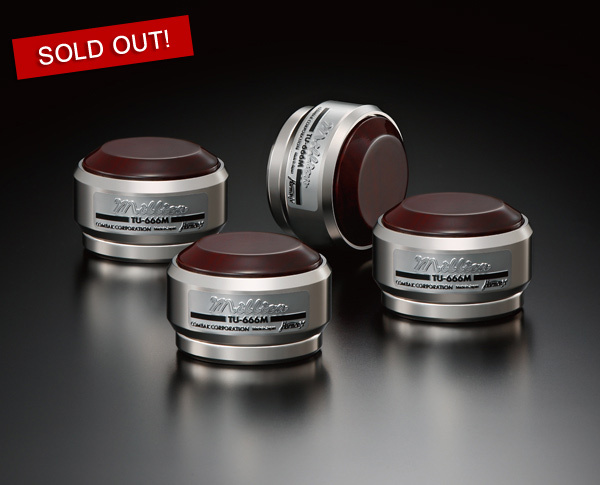 The “Million” Maestro series TuningMaster represents the latest innovation in tuning feet created specifically for tube audio equipment, CD transports and ribbon-type loudspeakers that are especially susceptible to harmful resonance. TuningMaster combine the ultimate in Harmonix resonance technology with extraordinary materials to suppress harmful distortion by transforming and balancing resonance and bringing music reproduction to a level that will enchant your senses. 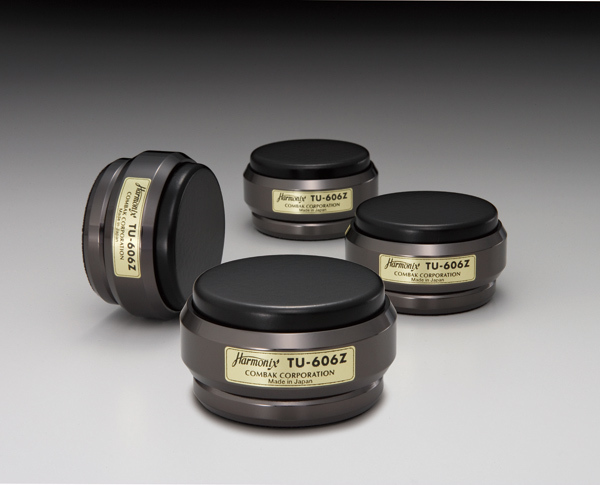 Applying TuningMaster to tube electronics, transports and loudspeakers not only significantly reduces the noise floor, but allows even the lowest octaves to deliver a vastly improved impact. Vocal reproduction is much sweeter and more lifelike thanks to eliminating that nasal and often metallic character of the human voice so frequently encountered in many high-end systems. 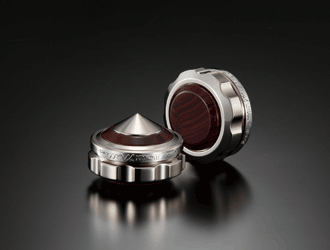 We invite you to try TuningMaster and experience a simply unimaginable improvement in music reproduction. Note: TuningMasters require a break-in period – the more time, the better the tuning. 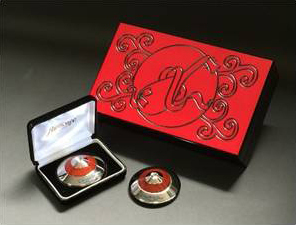 “Million” is a symbol mark for Harmonix maestro series products. 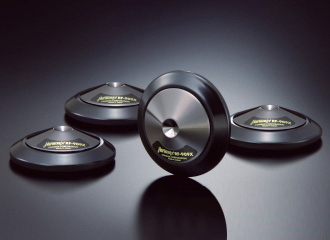 The Million products have been developed in use of our traditionally oriented Harmonix Resonance Control Technology, extreme rare and essential tuning material and crafting engineering. RF-999M, in addition to other Million Maestro series products such as TU-812M, RFA-7800, TU-666M and X-DC-M AC power cord, has been designed to ultimate the potential of the systems. The tuning effect and performance of RF-999M is an exemplar of Harmonix Resonance control technology, and that is something considered to be a special to enthrall serious and discerning music listeners around the world. Voices become natural, clear and immediate. Drums are dynamic, powerful and precise. The sound reproduction of string instrument will become richer and delineated. The soundstage gain astonishingly balance and three dimensional. RF-999M, like other Million Maestro series products, is for sure absolutely worthy product to invest and your money can buy. It’s unavoidable product for your systems! •Hand-crafted “Art-of-Spike base”. Set of 2 pcs. •Finish & materials: Selected wood and metal hybrid. 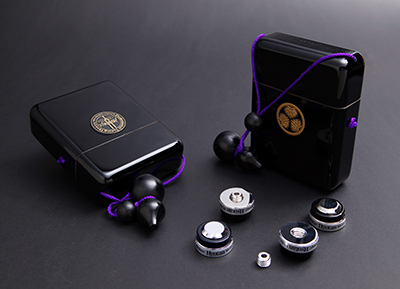 Celebrating 20th Anniversary of Harmonix, “Million” Maestro series of TU-666 has been announced in limited production. Astonishingly wide and dynamic sound stage, rich in midrange and unparalleled harmony and exquisite sound are by our highest tuning technology, materials and engineering handcrafted in TU-666M. Experience yourself for the unique and cutting-edge of Harmonix tuning technology and see what has been missed. 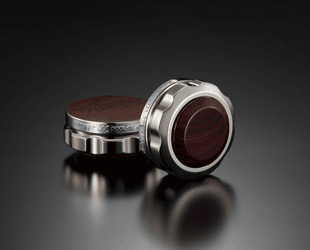 Designed using complicated and high Art-skill and precision engineering. The performance is just amazing! For extended and smooth high and bass with rich mid-range. 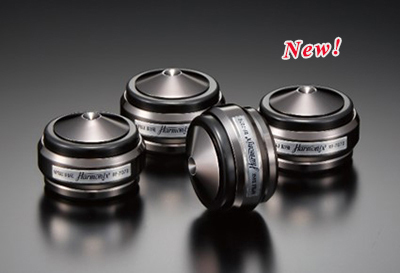 Although limited production, SF-200Mate is designed for the budgeting but high quality Harmonix tuning device. It suggest to use for Power Amplifier, Pre-amplifier, CD player, D/A converter and speaker systems as well. Together with such RF-909X, RF-909Xmk2, SF-200Mate exhibit excellent performance by synergistic effect by them. Highly recommend for new Harmonix users or the budgeting users. •Materials: Hybrid of wood and metal. Mid-class in spike base series. Designed for spike-equipped speaker systems and electronics such as CD player, DA converter and amplifiers. Improve total frequency spectrum to its well balanced, thereby, quicker response, deeper base extension, wider dynamic, rich mid and sweeter high. 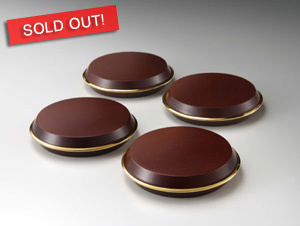 •Colors: Gold metal Top / Black color wood base. Black metal Top / Black color wood base. •Color: Black metal Top / Black color wood base. Series of “BeauTone” tuning feet. •Review! by positive feedback online, U.S.A.
Space saving tuning feet ideal for rack-mounted components. 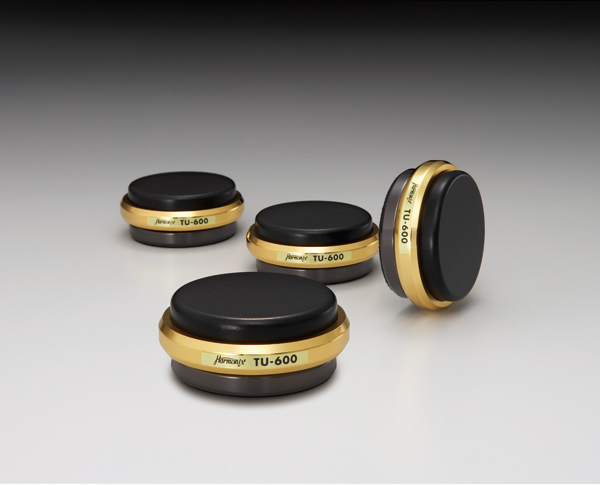 Incorporates resonance control insulator for caster-equipped loudspeakers and pianos.